In 1613, the year 14-year-old Prodigy Anthony, the son of a Flemish silk merchant Frans van Dyck, was written in oil on a small self-portrait. He is currently in Vienna, at the Academy of fine arts and that is an amazing thing! It is not only Mature technology, in the superlative degree of skill, which is not always given for the half of the senior artists — which is only one collar, famously and accurately laid a single stroke of white and literally ripping up the darkness. Much more impressive is the facial expression of the teenager — it is seen the mind, self-confidence and… a challenge. This is the face of a man who at 14 years old knows he was given from nature too much and he is all show! A pious and wealthy merchant family from Antwerp. 12 children who are taught languages (French and English, Spanish and Italian in addition to his native Flemish), history and even a little theology. Someone will continue the family business, someone becomes a priest, girls by the nuns, but the seventh child of van Denov, Anthony, there was little choice. Everything was so clear: he will certainly become an artist. There is nothing scandalous or out of the ordinary. In the end, it was not backward London, where by the seventeenth century, has not even begun the Renaissance and had no idea about painting, but an enlightened and prosperous Antwerp. Here was a picturesque tradition, was the school. Here was the Guild of St. Luke. Worked here Rubensand The Snyders. The mother of Anthony Mary embroidered on silk gorgeous scenery, a little boy was drawing the fragments of the maternal embroidery on pieces of canvas. Soon Mary died and her husband left before the need to somehow make a life and many children. So 10-year-old Anthony will be in the Studio of the painter Van Balenaand from there to the master, having world fame, Peter Paul Rubens. Outside is a serene story about a teacher and grateful student: Rubens repeatedly painted portraits 16-year-old van Dyck, his first assistant, recognizes and promotes talent; van Dyck depicts Rubens, and, separately, his first wife, Isabella Brandt, in response. But inside the relationship of Rubens and van Dyck -the story of the burning of rivalry, especially painful for an ambitious van dyke, but not quite cloudless and Rubens. Textbook the well-known story about how Rubens finished the big picture and immediately went on a 5 hour horse ride, do your daily exercise. Knowing that the master will return soon, the apprentice, jostling elbows, rushed to the canvas on which the paint was drying. Someone touched the picture, and the hand of Rubens ' character was hopelessly blurred. All froze in horror. Van Dyck coolly took up the brush. The return of the teachers was "as before". Rubens didn’t even notice the substitution. And among the students alleged seditious: van Dyck-it may not be worse! Customers passed each other: the manner of 20-year-old van Dyck "little inferior to the mastery of Rubens"and prices in the picture below (far below!). Rubens gets jealous. Van Dyck — burdened by the dominance of Rubens. 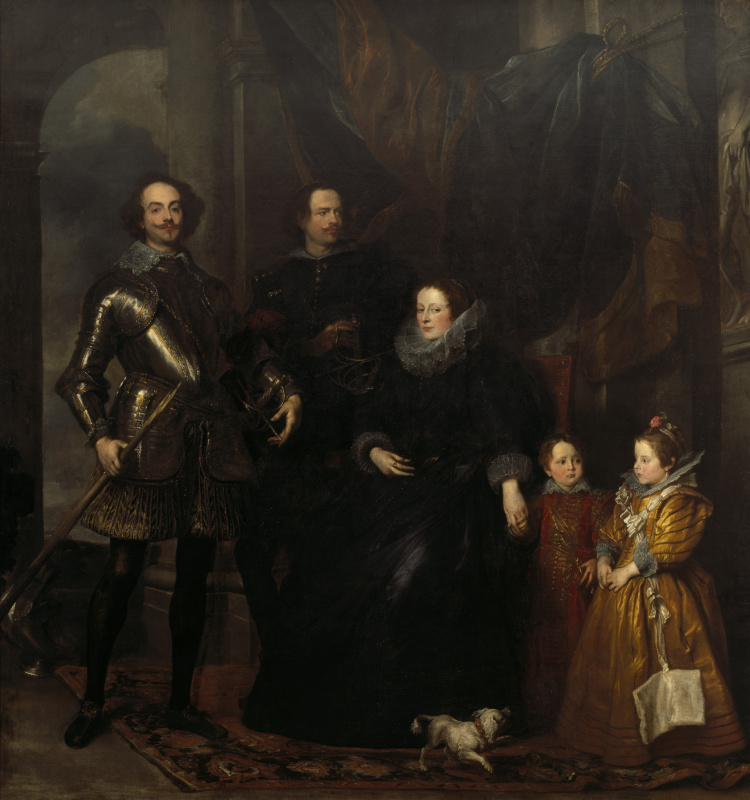 When in 1620 the English count and collector Thomas Howard called van Dyck in London, everyone was relieved. The artist worked for the Duke of Buckingham, king James I appointed him a salary of 100 pounds, but to stay in Britain, van Dyck still thinking. According to one biography, London it seemed to him "vile" and attention to his own person — is insufficient. And this is understandable: interest in art is born only when there ascend to the throne of the son of Jacob, Karl I. 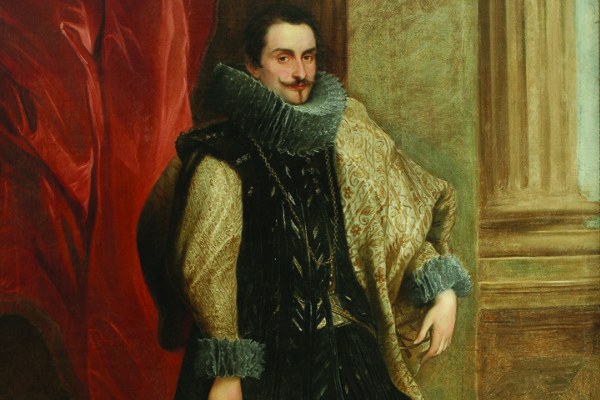 Van Dyck returned to Antwerp, and from there went to a 6-year tour of Italy. The famous researcher of van Dyck, Christopher brown, believes that the artist saw some of the work of Italians in London and that’s why I wanted to visit the cradle of Renaissance art. But actually this was a direct recommendation of Rubens, and there are those who believe that in this way he delicately got rid of Flanders, his excessively ambitious pet. Perhaps, only in Italy, the image and style of Rubens ceased to prevail over van Dyck: too bright were the new artistic impressions. 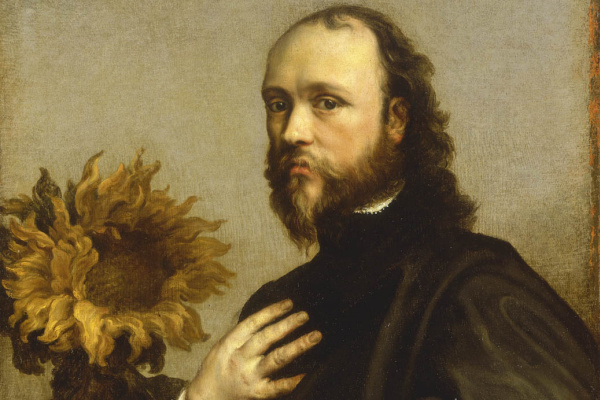 Besides van Dyck found a new landmark — Titian. And finally decided on the genre: he continued to perform compositions on mythological or religious themes, but realized that his calling — portrait. The illness and death of his sister forced van Dyck in 1627 to arrive home. Rubens just in the road: he’s on a diplomatic mission to Spain, and in England painted James I for the ceiling of a magnificent Palace on the banks of the Thames. The first Flemish painter vacant — and it is a van Dyck. He becomes a full-time painter of the Spanish viceroys in the Netherlands, Isabella and Albrecht. However, with the return of customers Rubens van Dyck flow to it — still a world celebrity! For the pride of van Dyck is unbearable. He travels to Brussels, and then in the Hague, works hard, but his fame, in spite of confidence in his own genius, does not cover the glory of Rubens. 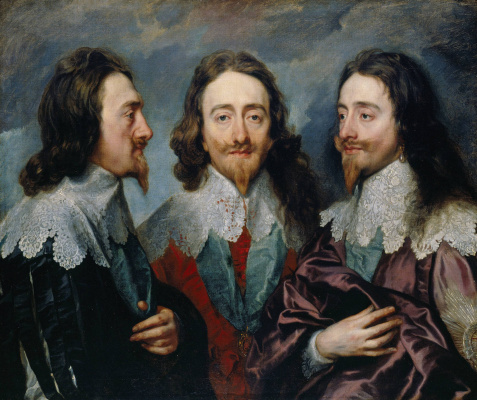 In the meantime, the English king Charles I, fanatically in love with the art, literally sick with the idea that his own portrait should be none other than Flemish painter Anthony van Dyck. It is believed that Carl first heard about van Dyke from his wife, Queen Henrietta Mariain the formulation "portrait of Titian level". And she, in turn, learned about it from his mother, the Queen of France Marie de Medici. But we can’t exclude that Rubens is quite good intentions recommended to the British monarch of his best student. The second English period of van Dyck will be the most eventful and fruitful in his career. More than 400 excellent paintings. The proximity to the court and an incredible honor: the mansion London, £ 200 a year, an estate in Blackfire finally, the coveted knighthood — the title of baronet. Van Dijk writes portrait in a week in its special, incomparable manner. He is able to show his characters elegant and deep, heroic, and sublime. He makes them better and raises above the sinful earth. And all this with extraordinary virtuosity. Experts have nearly four centuries of competing in the adjectives: refined elegance of van Dyck, lyrical brushstroke of van Dyck, his dancing brush… Someone innocently adopt the method of van Dyck flattery. No! This phenomenon is called on-to another: the aristocratic portrait. And equal in this genre van Dyck will not only in his time, but in the next. In a sense, Charles I and van Dyck had found each other. Two small painful man with unwavering confidence in his own election. 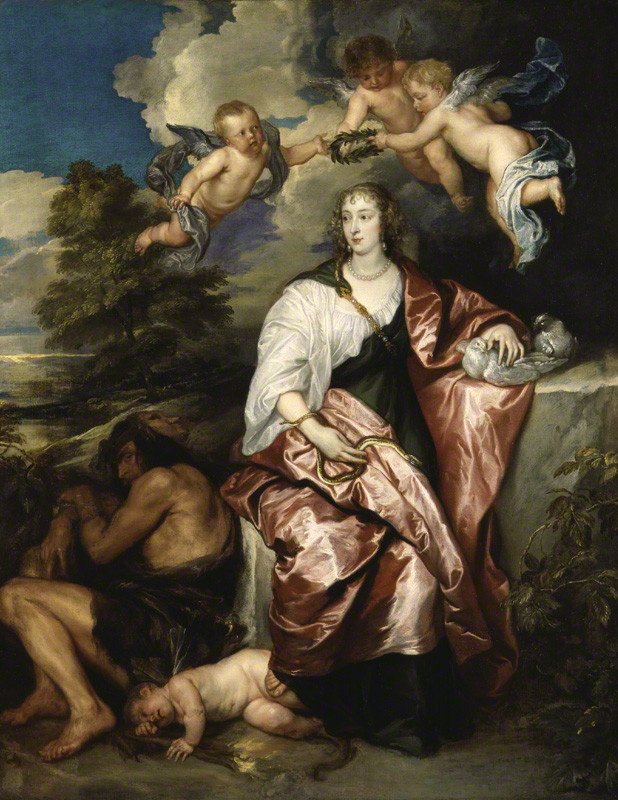 Only Carl saw his divine mission to the affirmation of absolutism and the Union of Britain under the banner of a single religion, and that’s what saw van Dyck — its? Not in unbridled luxury (carriages, jewels, servants, the receptions, the king himself arrives by boat to attend to the work of your favorite artist)? When we find ourselves alone with the mystery of genius, to the aid of the self-portraits. 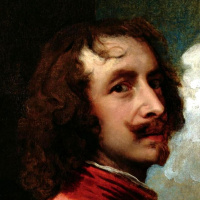 Self Portraits Van Dyck leftmore than any of his contemporaries. Here it could not compete even Rubens. Perhaps only Rembrandt also often recorded their own appearanceas van Dyck. But skeptical critics say that the motive of Rembrandt was "Know thyself", whereas in the work of van Dyck — "Glorify himself"; wrote the first self-portraits for self-examination, and the second from vanity. Van Dyck portraits appears as a man with a thin and nervous face, with carefully curled blond hair and well-groomed goatee, with beautiful long fingers and a challenge in his eyes, in luxurious clothes and elegant-sloppy poses. 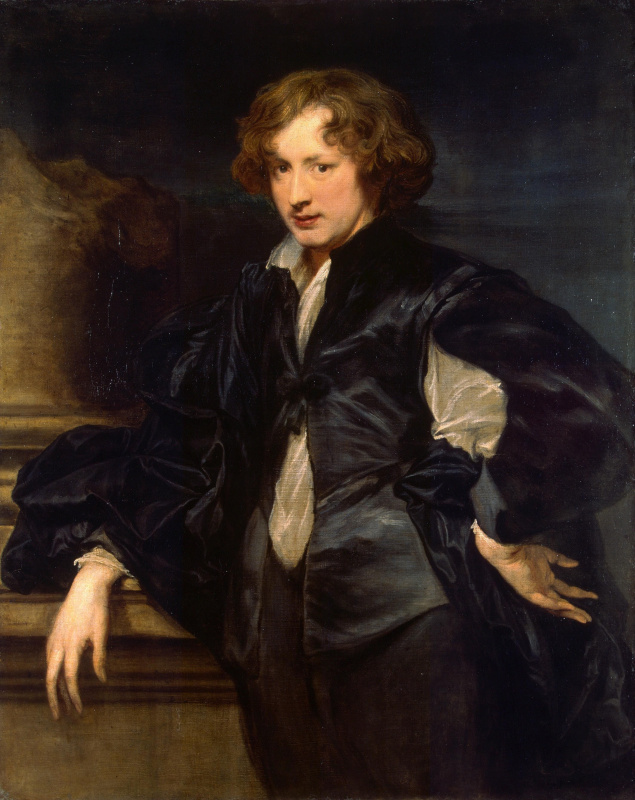 And, despite the apparent panache, van Dyck doesn’t lie: it was exactly the same. But van Dyck double vision, he is full of contradictions. Closed and "canny", but loves celebrations and luxury on display. Courteous on the verge of abandon. With an explosive temper and smoldering melancholy. 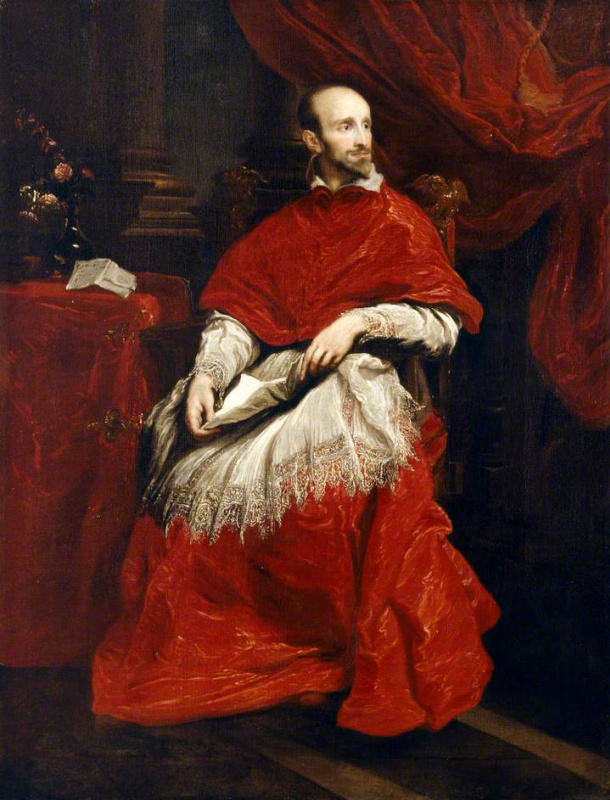 Van Dyck devout and even entered Flanders at the Jesuit "Fraternity of bachelors," and after vanity, and married a Royal lady-in-waiting. Lifestyle van Dyck, as testified by his contemporaries, more suited to the crown Prince, than to the artist. This is not conducive to asceticism. He’s always throwing. But he was a constant lover — a kind of Margaret lemon, the best model with which van Dyck a long time lived under one roof. 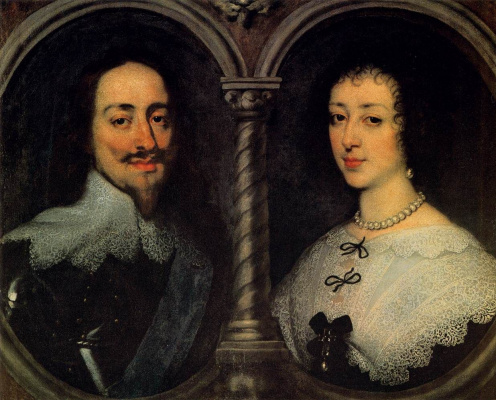 In 1639 van Dyck unexpectedly marries Mary Ruthven. 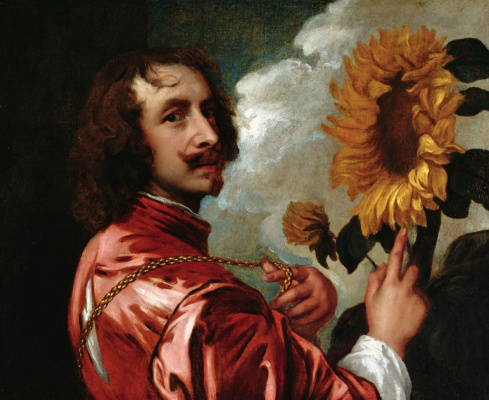 It is not quite clear, whether he is married at the dictates of passion, or to become a husband of Royal ladies van Dyck made his obsession to be as close to aristocracy. Margarita lemon and had rolled scandals, if some great lady was to sit to van Dyck without any accompaniment, tete-a-tete. News of the engagement of the artist has led the poor woman into a frenzy. 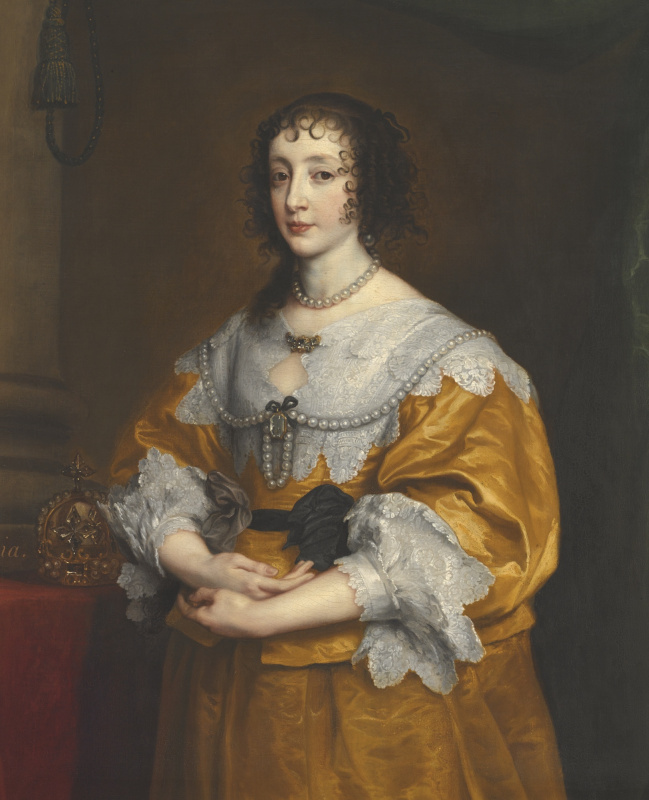 She rushed to van Dyck, as enraged at fury, beating him and during the fight tried to bite off his finger so he never could take up the brush, but, fortunately, did not succeed. In 1640-m die Rubens, and van Dyck will receive a telegram from the Spanish king. He almost did not doubt that he will be offered a place at court — the English court was far from the brilliance of the Spanish. 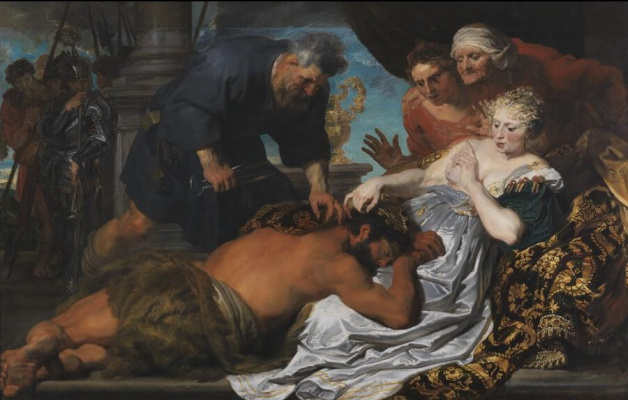 But Philippe IV asks him to first finish pattern, not completed by Rubens. "Even from the grave he has managed to humiliate me!" — I say with shame van Dyck. To live wasn’t so long: a year after the death of Rubens 42-year-old van Dyck dies from a mysterious illness and will be buried the same day as the christening of his newborn daughter Justiniana.